How did you learn about the FreeWalkers? What is the farthest distance (in miles) you have ever walked? 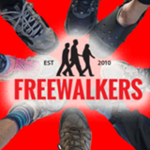 What is your interest in joining the FreeWalkers? What kind of events are you most interested in?